Contribution to the Educational Theory and Practice of IT in the Danish Subject (in primary and lower secondary school) builds on a number of empirical studies I undertook in connection with an action research project I initiated and participated in with students and teachers at Tallerupskolen during the school year 2002-2003. It also builds on a number of projects that derived from the action research project, and in which students from different schools collaborated on the internet during the following school year. The dissertation is not a report on the projects, but an argument in favour of the use of IT and the development of academic approaches to IT in the teaching of Danish in the Danish Folkeskole. An argument which on the one hand is based on studies and the development of theories of communication, motivation, learning, network society, and competence, and on the other hand is based on the concrete practice in which I participated and systematically created empirical data. Figure 1. 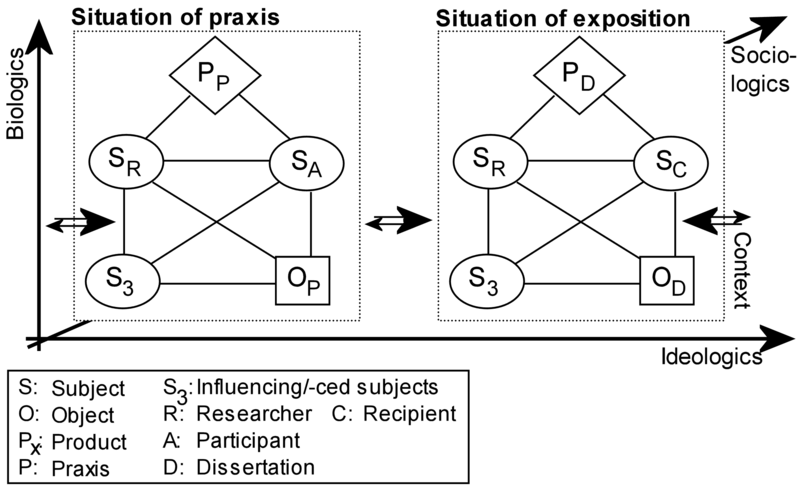 The relations of condition and consequence in research practice. [...] we define scientific research as investigative activity of discovering that the world is or is not organized as our preconceptions lead us to expect and suggesting grounded ways of understanding (Greenwood & Levin 1998: 68). The dissertation is a contribution to the development of concepts and conceptions in relation to the use of and reflection on IT in the Danish subject. Didaktik consists of reflections on the teaching situation, the planning considerations previous to the teaching situation, and the evaluation that follows the teaching situation and provides the background for the subsequent planning. This definition forms the basis for the rest of the dissertation which is composed of three main parts: A chapter which investigates the factors that constitute the situation, and some relevant characteristics of the participants (motivation, background, competencies), a chapter on the reflections before the situation: Social background, purposes, objectives, and contents & teaching methods. The last part serves a dual purpose by reflecting the aspects of contents and teaching methods as well as evaluating actual teaching projects in which I partook and thus it constitutes the third main part of the dissertation: After the situation. The first main part, chapter 4., is opened by a thorough clarification of the concepts and phenomena of the communication situation. I build on a dialectical theory by Bang & Døør (Bang & Døør 1985-1998) and discuss the concepts media and communication technology particularly carefully, and reach the following definition: A carrying medium is and object marked by a communication technology. I then analyse and characterize different categories of carrying media and communication technologies in order to define the distinctive character of the computer screen and the computer based communication technologies. I use these categories and concepts later in the dissertation. This use supports the consistency and usefulness of these concepts and categories. Figure 2. The teaching situation. Students collaborating across classroom borders mediated by IT. This model lies behind the organization of a number of collaboration projects that I present and discuss in the dissertation (cf. The Dynamic Textbook, www.dynamitbogen.dk, and The Web Parliament, www.gentofte.webparlament.dk, www.tallerupskolen.dk/parlament). aim at students both aquiring the cultural circumstances, creating new understandings and insights them selves, and getting the opportunity to participate in the development of historically new activities. Overview 1.Principles for the organization of teaching. In continuation of this I describe various perspectives of the development of our society by presenting Manuel Castells theory of the network society (Castells 2003) and Barry Wellmanns theory of the consequences of the network society for identity and social relations (Wellman 2001). This leads me to a provisional characterization of the objects of the Danish subject in light of the network and information society. I base the discussion of the purpose and goals of the education and teaching on DeSeCo's description of competence. Action competence is the principal task of school. I present the Danish conception of the phenomenon and suggest a definition. Thereafter I discuss the concept of key competencies and relate it to the concept of dannelse (german: bildung, english: general education) and Wolfgang Klafki's discussion of key problems (Klafki 2002). identify themselves with other people's narratives, narrate about themselves, and develop their own identity narrative through interaction. joy in participating in communication. I consider this definition to be an essential result of the deliberations in the dissertation. It is therefore my suggestion that the goal of teaching in the Danish subject is to contribute to the students' development of communicative competencies (i.e. those that they would not develop through any other activity (for instance in leisure and family time)). The passage "Contents and Method" (5.3.) is the third main part of the dissertation. In this part I present four aspect of the contents of the Danish subject that I propose in the light of the definition of communicative competencies. I begin with a thorough analysis of information competence. It consists of 1) a number of skills in reading, search word development and selection of relevant links, and 2) of knowledge of opportunities and pitfalls, of search machines and of the internet, and it consists 3) of a competence to show a critical attitude towards and evaluation of texts. The passage on information competence thus has focus on the contents of the education. There must be motivational factors that bear comparison with the efforts, ie. the participants must experience that the social relations make sense (and cause the rise of sought-after feelings). how the participants experience the creation of a personal identity in the forum. being able to formulate an unfolded argumentation  or the writing must be organized thus that it is accepted that it is not unfolded. Overview 3.Principles for organizing collaboration via the internet. These principles lie at the root of the development and organization of the Web Parliaments that I have developed with my collaborator Lisbet Kühn. I present the organization and I argue that this organization matches the principles I have developed. After this I present some examples from and evaluate two actualizations of the Web Parliament. I characterize both projects as successes. In the consideration of the Web Parliaments I discuss, among other things, how clearly organized work routines can be of utmost importance for the outcome, how collaboration via the internet can be promoted by being integrated with attention to and work with the way the dialogues are lead, and how social relations can have positive as well as negative influence on the course of events. In the following passage I have focus on the media and technologies of the teaching situation. I take the problem of acquisition of academic contents in project work as my point of departure. 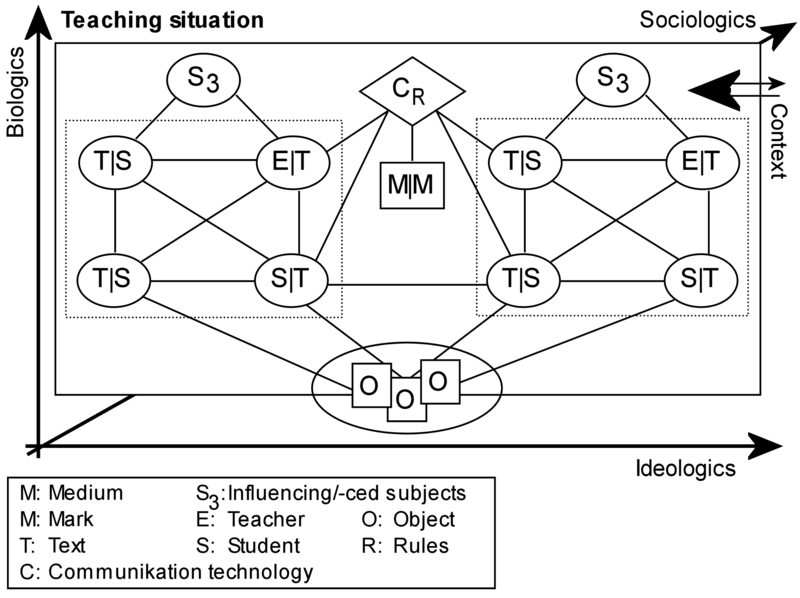 I present Bjarne Wahlgren's and Jesper Hermann's considerations on formation of experience, and I discuss Karsten Schnack's model of topic and project oriented courses where "loops" of teacher centered teaching are enclosed. This discussion brings me to the presentation of a modified loop model which incorporates the opportunity for groups of students to deal with different topics and skills, and which takes into consideration that students may need the teacher's loops at different points. Furthermore I show a number of advantages of the functional teaching which I claim that my model depicts. On this background I present the concept of interactive assistants, which are programmes that guide the students through a complex problem. An interactive assistant builds on a description of an academic area, method or problem, integrates the student's project or introduces a relevant problem, sets the scene for the student to do the thinking (not the computer), and collects the input of the student in an overview that the student may print and discuss with the teacher and other students. Along the way I have developed a number of interactive assistants, of which I present two and compare them to more traditional teaching material. In the last passage in "Contents and method", I discuss the organization of the teaching situation in connection with the producion of i.e. written texts. I present the development in the research in the field of writing, and I point out the steady development towards increase in the number of characteristics that are considered relevant for the understanding of the situation of writing; although recent writing theorists call for more authentic writing, arguing among other things that the motivation increases, in fact they often recommend "as if"-situations. I follow in the foot steps of Vibeke Hetmar and Lars Sigfred Evensen (Hetmar 2000, Evensen 1993) in recommending writing in real authentic situations, and through a number of concrete examples, I argue that an authentic communication situation is conducive to students' motivation and learning. Among other things I present a project we called "The Dynamic Textbook". I conclude the dissertation with six proposals for further research.